From horses, trucks, ships and airplanes, now it’s the time of ecommerce. Although the early reaction about online shopping was mixed (“It takes too much time to get the item”, “I am not sure that they are secure or they will give the product or not”, “The thing is not available which I want to buy”). Not many years ago, people shopped from their local stores and they were happy. But the picture has changed. In Today’s busy world ecommerce gives you the opportunity to get what you want at your door step without disturbing your busy schedule. It gives you the option to choose the correct item for you and your family from your chair. Ecommerce stores offer you good products with an affordable cost. It offers you to avoid the physical stores where usually prices are higher. In traditional shopping method basically people have to face long waiting lines and crowd. With a limited business hour non ecommerce stores offer you limited opportunity. Online stores are easy to access and its fully computerized technology helps you to find out that exact item which you want to buy. It also offers to find out those rare products which are not available in the general market. Its store front web server offers you a wide range of items to choose. The most comfortable option is money back option. Some online stores (Some examples are Flipkart.com, Snapdeal.com) offer you a free money back option if you don’t like the product which you have brought. The front web and modern software of online stores allows to do compare among many products at one time. Usually we like to compare among many products before buy. Online stores give us the opportunity to do that like regular shopping, or more than that. Ecommerce also opens new opportunity for business. Not many people can develop a business like Amazon or eBay but anyone can open an online store with a matter of minute. Many small online merchants sell their products through the kings of online stores (snapdeal, flipkart, eBay, amazon). You never get to touch and feel the product until it arrives sometime later. It is the main drawback of ecommerce. Although there is 0.01% chance to get a wrong product of bad product but it creates slightly problem for the purchaser because it’s our nature to feel band touch the product before buy. For this exact draw back online shopping took time to get popularity. Many people have no option to use internet or you can say that they are out of the light of modernism. It is also one of the major problems. Only 38 percent people use internet in India. No doubt it is a big digit from numerically but granting the percentage 61 percent internet less people is available in India. It’s not possible for a human to predict a perfect future, but we do predict after observing the present. Faster delivery, free returns, free shipping, all of this has increased the number of online purchaser. Granting the research of IBIS, 8.6% customers are involving with online shopping every year and it will go on for next five years. The boom has happened in India, China, Brazil and Vietnam which are unbelievably turning towards the internet and purchasing goods from online. Technology also helps to make the online shops very user friendly. Every online store is trying to use new and better technology to improve the customers shopping experience. They always try to give us better service. Only for easy access, online stores are getting popularity. In the US, a research says that, the growth of 10% will be happened in coming 5 years in the US. 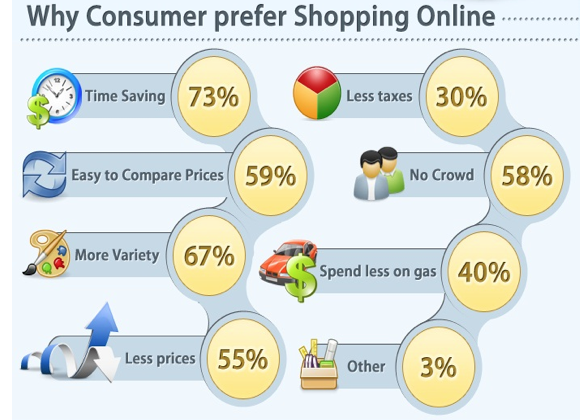 Computers, mobiles, and electronic goods are very demanding for online purchases. 40% of online purchase comes from electronics. In future it will be increased. 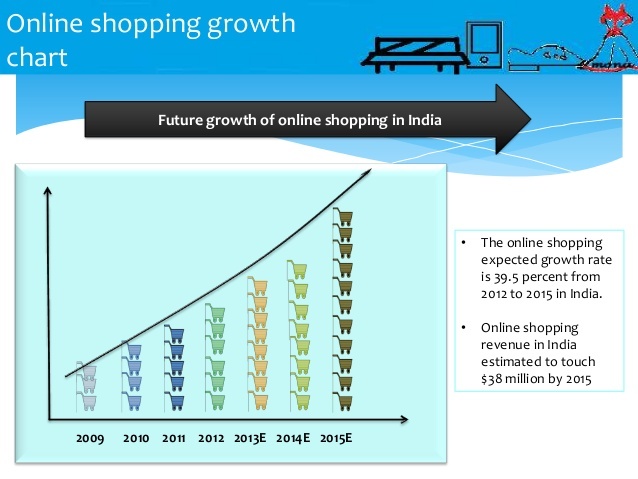 In South Asia 51% people shop online, In Kenya 18-20%m individuals shop online. All of these digits are growing more than expectation. E-commerce activities have spread out in Nigeria and South Africa both due to the proliferation of mobile phones and the availability of faster internet networks. The internet is growing through the world wide and purchaser become more comfortable about the security (Online payment) and availability about the internet. The numbers of online purchaser are also growing by the hand of the internet. As our lives become busier, so we need everything beside our hand and ecommerce does the same. It is not surprising if in future online stores capture the whole shopping system.